In computer networks we need to give each host or system a unique number and/or name. This is the only way to make communication possible. In other ways there will be a lot of problems like collusion or miss interpretation. Most of the system uses IP addresses to communication over computer or IT networks. In this tutorial we will try to answer the question “What is IP address?” and details about IP address. TCP/IP is the most popular protocol suit that creates complete Computer networks to provide communication between hosts. There are other protocols which completes the whole picture of the end to end communication. IP is the main part of the end to end communication. IP stands for Internet Protocol and designed to provide communication between remote systems over the world. 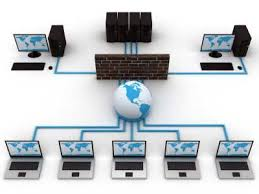 IP uses packet switching to transmit packets to the destination hosts throughout intermediate systems. IP addresses splinted into four segment A.B.C.D as we can see in previous part. Each segment number start from 0 and continue up to 255. Followings are IP addresses. We use segmented structure in order to create hierarchy. We can switch packets which destination is 1.2.3.4 by looking the 1.2.3 part of the address. Each IP address have following characteristics. Public addresses are used in the internet space. Public addresses are all IP address range other than private and some specially IP addresses. Public IP addresses should be uniquely used in the internet. So IP address like 8.8.8.8 will only used by a single host on the internet.